Just to let you know that we have completed the pages for Henry and his 12 children as far as we can go. We now require you input and help if you are willing. If there is any information on these pages which is incorrect or you have some more information you would like to share, please use the “leave a reply” box at the bottom of each of the pages. This reply will be sent to me, along with your email address, we can correspond via email outside this forum and then we can update the information on the relevant pages. This entry was posted in Uncategorized on September 29, 2015 by gregorypaulskinner. We have yet to finalize who the last Unknown Stanaway’s were/are, but we did get a huge number of you all viewing – please keep looking. We have another fantastic photograph thanks to Claudette Adams, the children in this picture are the children of Montrose Stanaway 1892 -1918. We know who four of the children but the older girl in the middle is not one of Monty’s children, although she looks as though she could be. We suspect that she could be a cousin. Therefore either a niece of Montrose Stanaway or his wife Muriel (maiden name Featherstone). I have some thoughts on who it could be, but I would like to have some other researches who want a challenge to see if they can track this girl down. 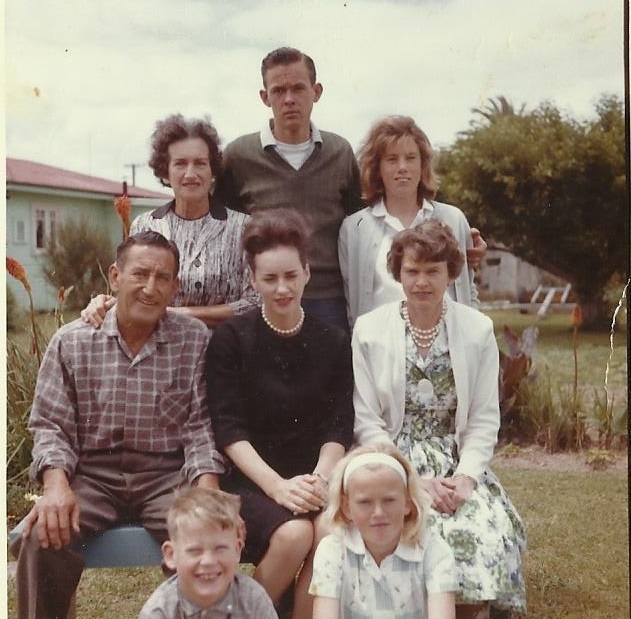 Back row left: Eileen, Unknown, Len with the twins Millicent and Monty in the front – Adams Family Collection. This entry was posted in Uncategorized on September 22, 2015 by gregorypaulskinner. The following was an introduction I was going to post a few months back, but have not done any thing with. Rather than leave it sitting in my computer I have decided to release it. 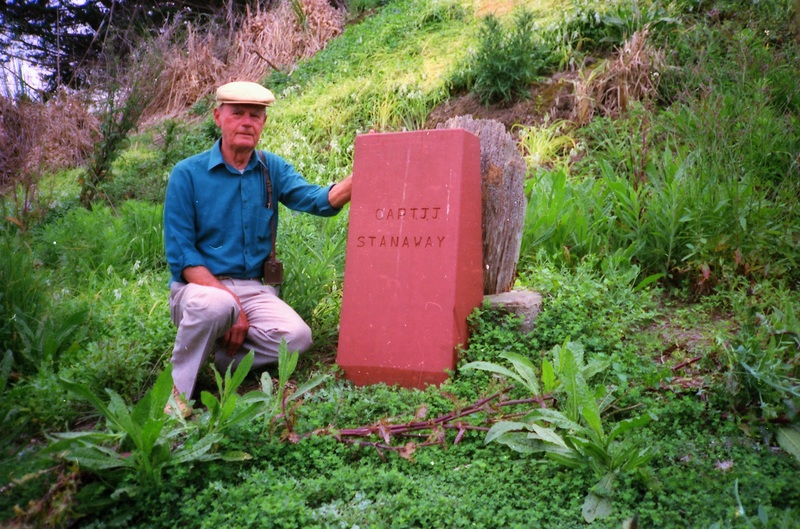 If you have not had a chance to visit the final resting place of Captain John James Stanaway, you must put it on you bucket list. On the two occasions I have been there I did not venture up to the top of Tokatoka Peak, due to the weather conditions, that is on my list for the next time. I tentatively pull into a gravel roadway. I’m unsure this is even the correct place. There is not much around, no signs, no gate, nothing to indicate I have arrived at my destination. The grass berm has almost devoured the gravel roadway, which seems to suggest that there aren’t many visitors to this place. I have been told about this place by my father who many years ago along with his two Uncles visited. I have seen the photographs, but 25 years has passed since that date. The Uncles have long since passed and my father is now a retiree. My Uncles were old men by then, but to me the only way I had ever known them – “old enough to have wonderful stories of the past, sharp enough to have you hanging on their every word, and quick enough to keep you in line”. It would have been their first visit to this place and for my father’s Uncles, their last. Slowly, I work my way up, following the winding roadway. A large grass area opens up, which is trimmed by a rickety timber fence and gate with flaking paint. Beyond the fence set out over the rising hill in two directions are a few headstones, some with broken and decaying wrought iron fences, some just concrete slab. Most if not all are in a “worse for wear” condition. There is one timber headstone all rotten at the base and missing a third of one side, in memory of a “Mr Charles Heath died 20 Nov 1869” leaning inside a timber picket plot. I think to myself it has done well to survive this long! I make my way round the different plots. Half way up the large slope in amongst the long grass and weeds is “Sarah Ann Sanders died 1908”. It has a large marble oblex on a concrete base. Next to her with a rusting wrought iron fence and a headstone broken in half, is “Frederick Stanaway died 22 years and 9 months”. The westerly which is blowing straight across the river swirls around the hillside, the trees whistle noisily. I note that the north side is too steep for any plots, so I make my way under some over grown trees sheltering another two impressive marble headstones, I then spot what I have come to see. 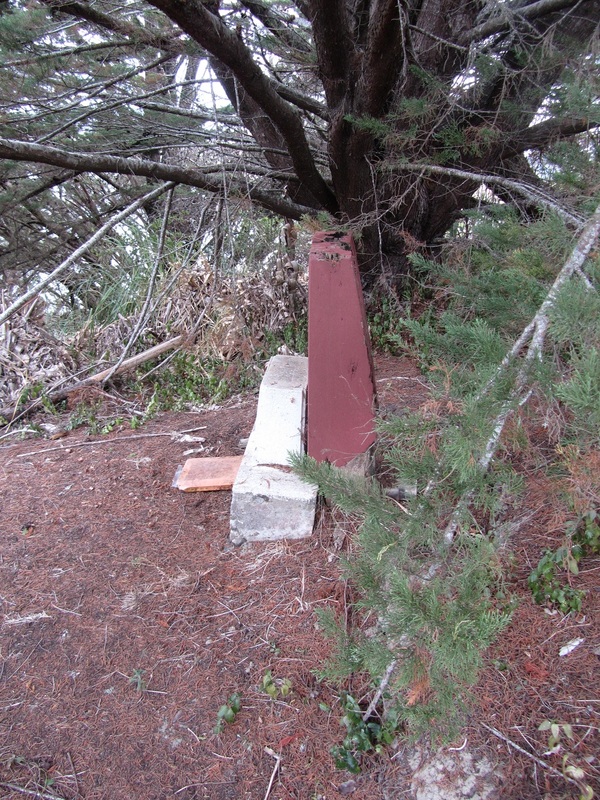 Tucked away under an overgrown pine tree on the south face is the final resting place of Captain John James Stanaway. It does not look anything like the scene 25 years earlier, the pine tree was not even a sapling then but now it dominates. The original timber headstone I had seen in my father’s photographs is gone. The solid red Kauri post with his name engraved is there, the same as in the earlier photos but it is now rotting from the inside out. In parts, it looks as though the paint is holding it together. A recent addition which was not there before is a concrete plinth with a brass plaque mounting, along with a paver under, which protected in a plastic bag are names and numbers of descendants. Looking around I can see why this spot may have been chosen. With a bit of trimming and upkeep this spot would give a spectacular view looking south straight down the river towards the Kaipara Heads, to the east Tokatoka peak. The Tokatoka Cemetery is located off Tokatoka Road close to the tavern, on a head land jutting out into the Wairoa River. The early settlement of Tokatoka has completely gone. The cemetery is the only surviving record pre 1900. The wharf, post office, store, hotel, houses and sheds have all disappeared, only a tavern built-in the 1920’s remains. The new State Highway 12 runs between the river and the headland, I would suggest that the old road ran between the headland and Tokatoka Peak in front of what was an abandoned Maori Pah in pre European settlement times. 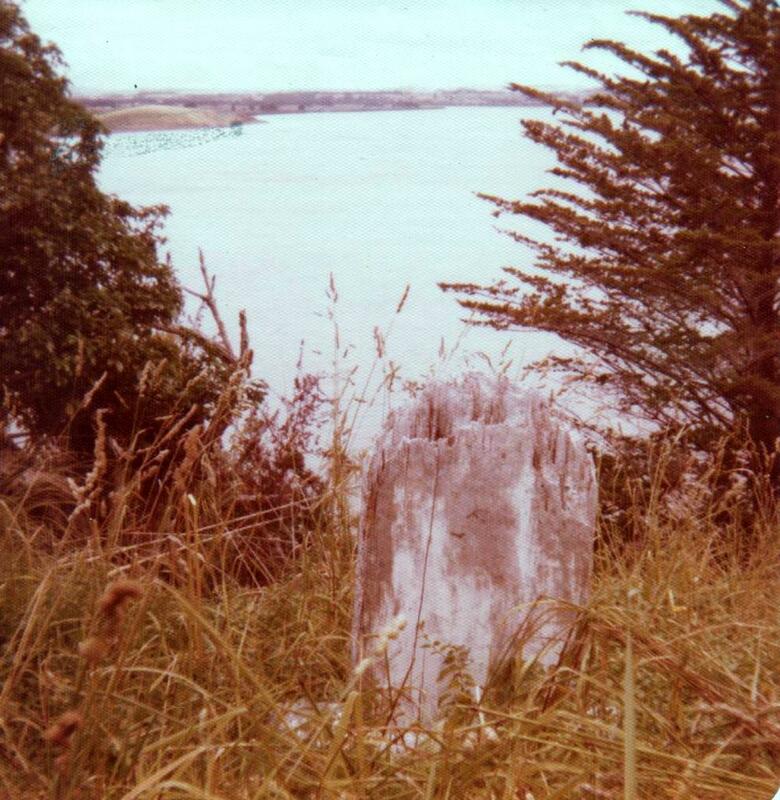 A big thank you to Colleen Stanaway for the photograph supplied and to her father who had the foresight to place the Kauri marker before all trace of John’s grave was lost. If anyone else has any pictures of the original headstone we would love to have a copy. This entry was posted in Uncategorized on September 21, 2015 by gregorypaulskinner. A big thanks to Claudette Adams, with her help we have been able to update her Great Grandfathers page – Montrose Stanaway. We now have some family documents and pictures of not just Monty but his wife, and children. Check out this revised page Montrose Stanaway, but before you do, this new information has however also unearthed some more mysteries. I have attached a photograph which has Monty’s four children – but there is a fifth child. This “photo bomber” is the older girl in the centre, she does look related if not part of the family, but we know with a certain degree of accuracy that she is not one of Monty’s children, we suspect however that she may be a cousin to the other children in the picture. Best guess is she would likely be one of Monty’s siblings children – his niece. I assume picture taken about 1919 this girl would be about 10-11 years old so born about 1909. The question to you all is does anybody know who this is? Please let us know. This entry was posted in Uncategorized on September 18, 2015 by gregorypaulskinner. I am slightly reluctant to post this but my great-uncle when he died took a number of records, names places and stories with him. In saying that he did write a book and a few boxes of short stories on his and his extended families life and times. He was even so kind to write on the back of his photographs names, dates and places (please get the senior family members to do the same to your family records it makes life for family researchers much, much simpler). However there are three photographs which have me stumped, they were taken in the 1960’s, so potentially some people in these pictures could still be alive and I do not wish to upset or breach any privacy laws, but I do want to put names to faces. 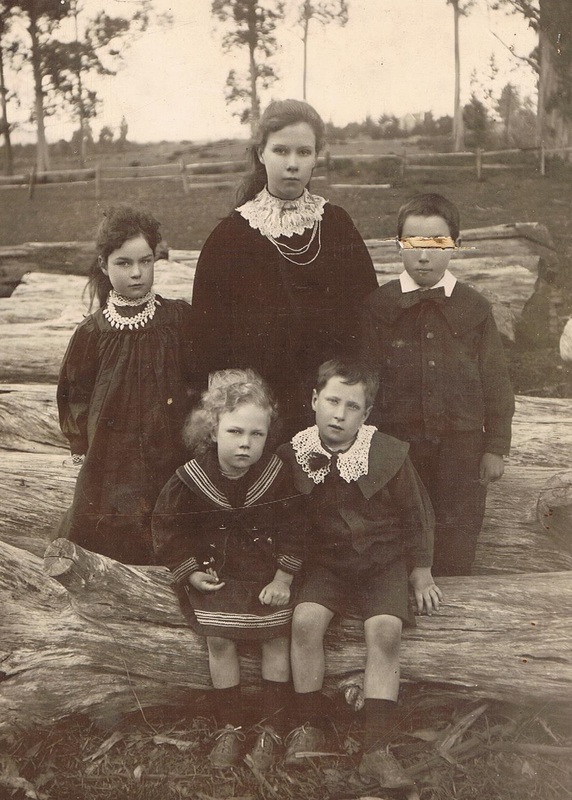 They may even be photographs that this family may no longer have. 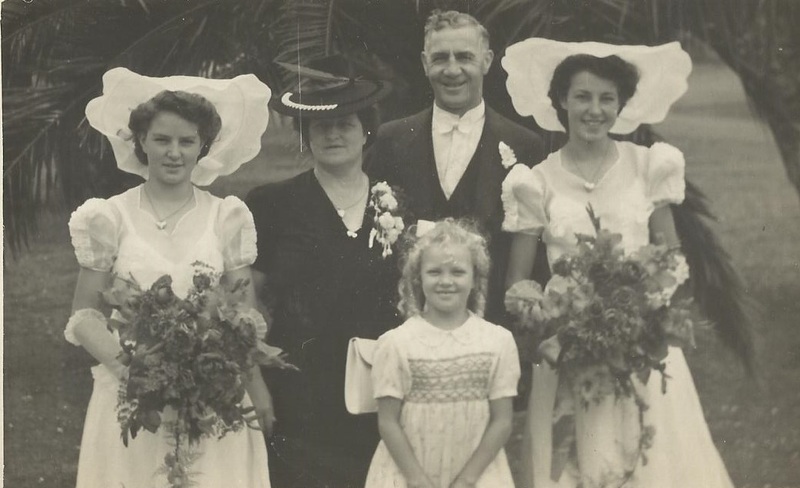 So can you help – the photographs are of the one family, the colour picture had written on the back “Jim Stanaway and family 1964”, the second had “Jim Stanaway and Family” and the third just had “Stanaway girls” – with may Jim’s and James’ and first and second names and the fact that some Stanaway’s just went by what ever random name they decided on (a Stanaway trait) I am stuck. (click on the picture to make larger). This entry was posted in Uncategorized on September 16, 2015 by gregorypaulskinner. This entry was posted in Uncategorized on September 11, 2015 by gregorypaulskinner. 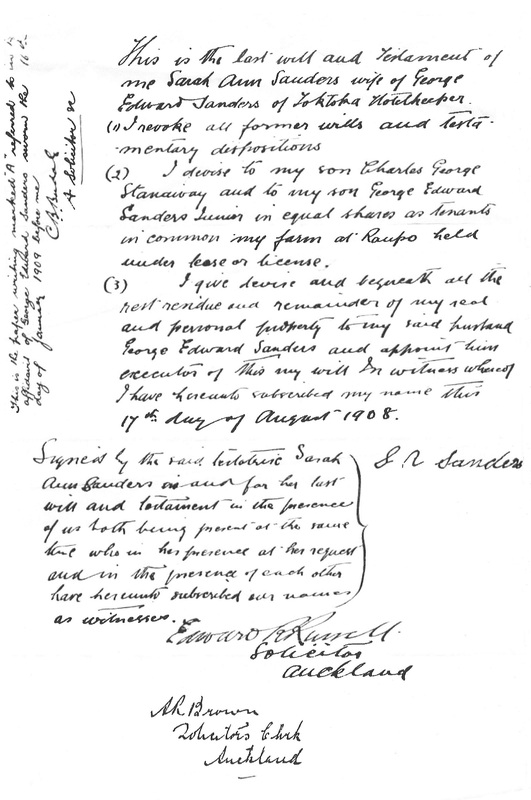 Thanks to Colleen Stanaway who has shared a copy of the Last Will and Testament of Sarah Sanders (nee Stanaway nee Clark) – a copy has also been attached to her page. I have not produced a typed copy as I do not want to take away your fun in interpreting it yourselves. 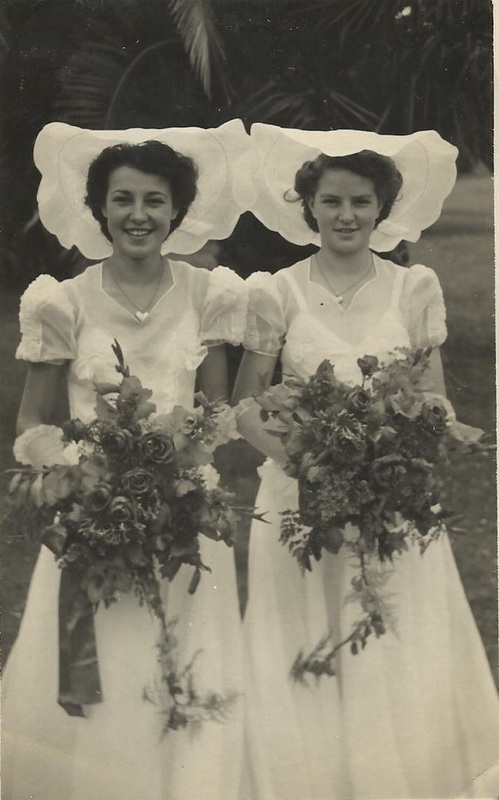 Sarah’s Will – Colleen Stanaway Collection. This entry was posted in Uncategorized on September 10, 2015 by gregorypaulskinner.